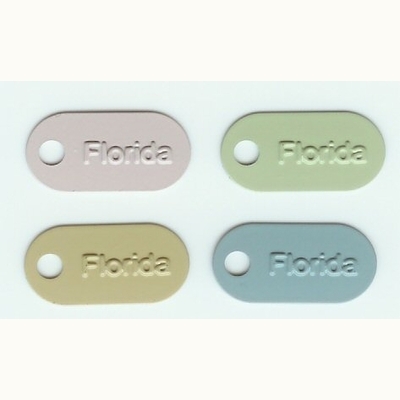 Florida Tags.4 color tags per package. 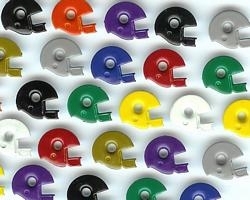 Color tags are random mix of colors. 1 inch in length. 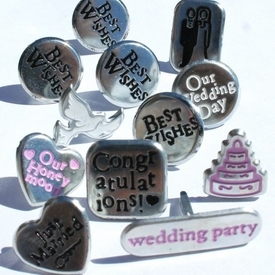 Tags - Tags can be attached to scrapbook page or card with 1/8 eyelets or brads. You can also string ribbon, fiber or wire through the hole of the tag to dangle tags. 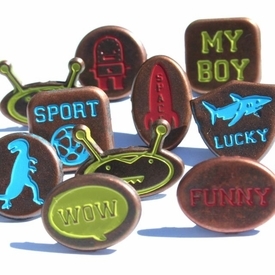 Tags add a unique look to scrapbooking layouts, cards or paper crafts. Be creative and dangle tags from wire loops for earrings or put them on a chain for a necklace. I could not find these tags any where else. 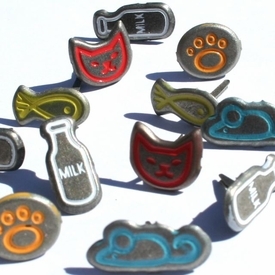 They are like mini dog tags. My Disney album will be made more colorful by addition of the colored metal tags as well. Every shape and color of eyelet can be found and at fabulous prices.